Hewlett Packard - 491315-001 491315-001 HP ProLiant DL380 G6 2 x Xeon 2.8GHz 12GB DDR3 SDRAM Serial Attached SCSI RAID Controller Rackmount Server. New Retail Factory Sealed With Full Manufacturer Warranty. Hewlett Packard - 470065-067 470065-067 HP Proliant Dl380 G6 2p Xeon X5560 Qc 2.8GHz 8MB L3 12GB RAM Sas Sata 4 X Gigabit Ethernet 2u Rack Mount Server. New Retail Factory Sealed With Full Manufacturer Warranty. Hewlett Packard - 656765-S01 656765-S01 HP Proliant Dl380 G7 1 X Xeon Hc X5660 2.8GHZ 24GB RAM No HDD SATA300 SAS 2.0 Smart Array P410i 2 X Nc382i Gigabit 4 X Gigabit Ethernet Raid 2u Rack Server. New Retail Factory Sealed With Full Manufacturer Warranty. 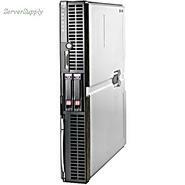 Hewlett Packard - 408579-001 408579-001 HP Proliant DL360 G4P 1x Xeon Dc 2.8GHz 1GB Ram SAS SATA Hot Swap Gigabit Ethernet Ilo 1u Rack Server. New Retail Factory Sealed With Full Manufacturer Warranty. Hewlett Packard - 785091-S01 785091-S01 HP Proliant Dl360p G8 S-Buy 2x Intel Xeon E5-2680v2 2.8GHz 10-Core 64GB Ddr3 Sdram 2x 80gb Hdd Hot-Swap 4x Gigabit Ethernet 8sff Hdd Bays 2x 460w Ps 1u Rack Server. New Bulk Pack. 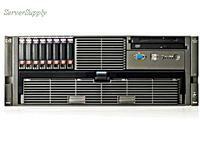 Hewlett Packard - 728544-001 728544-001 HP Proliant Dl580 G8 High Performance 4x Intel Xeon E7-4890v2 2.8GHz 15 Core 128GB Ddr3 Sdram Smart Array P830i 2gb Fbwc 2x 10 Gigabit Ethernet 4x 1500w Ps 4u Rack Server. New Bulk Pack.